Study shows company’s overall market share more than double nearest competitor, new market leader for Speed Gate optical turnstiles. 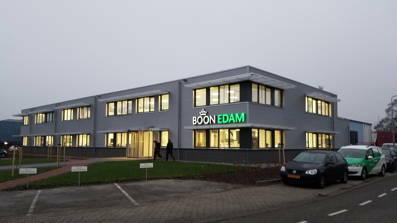 A recent report on the pedestrian security entrance market for the 2014-2016 timeframe establishes Boon Edam Inc., a manufacturer of revolving doors and security entrances, as the overall market leader by an impressively wide margin in the Americas (North, Central, and South America). Boon Edam’s winning category covers “Pedestrian Entrance Control Equipment,” which includes all types of security doors, turnstiles, and gates. The report shows the overall pedestrian security entrance market in the Americas grew 14.8% during the period of the study. Boon Edam also made significant gains in revenue share during the same period in other entrance categories, most notably in “Speed Gates” optical turnstiles, where it moved to first place in the market, compared to third place in the prior two-year reporting period. * For “Pedestrian Entrance Equipment,” the company’s share increased to 27.7% of total revenue share, up 1.8% from the prior two years. This share is more than twice that of the nearest competitor. * For the “Security Doors” category, the company had the leading share of 52.9%, up 3.8% from the last report. * For “Security Revolving Doors,” the company’s leading share increased 4.8% to 55%. 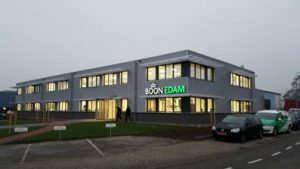 * For “Speed Gates” (lobby turnstiles that use barriers and sensors to detect tailgating), Boon Edam moved up 5% from 3rd place in 2014 to now hold the leading market share at 20.3% in 2016.